Metal Construction 5 Model Kit, Racing Cars, 246 parts, 5-in-1, Starter & Beginner Metal Construction Kit, summary: 5 vehicles in a box, racing cars 236 parts, perfect for beginners to learn how to assemble a construction metal kit, made of high quality metal and high quality plastic material, free-wheel action, tires made of plastic. 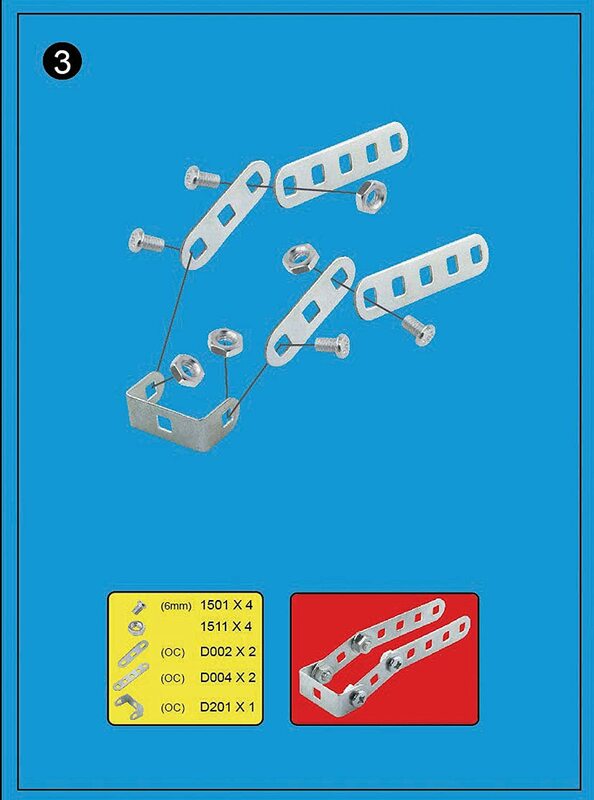 All parts will be only fixed with screws and locked with nuts, equipped with tools 4-coloured assembling manual with pictures, recommended for age 8plus, packed in a gift box, from tronico. 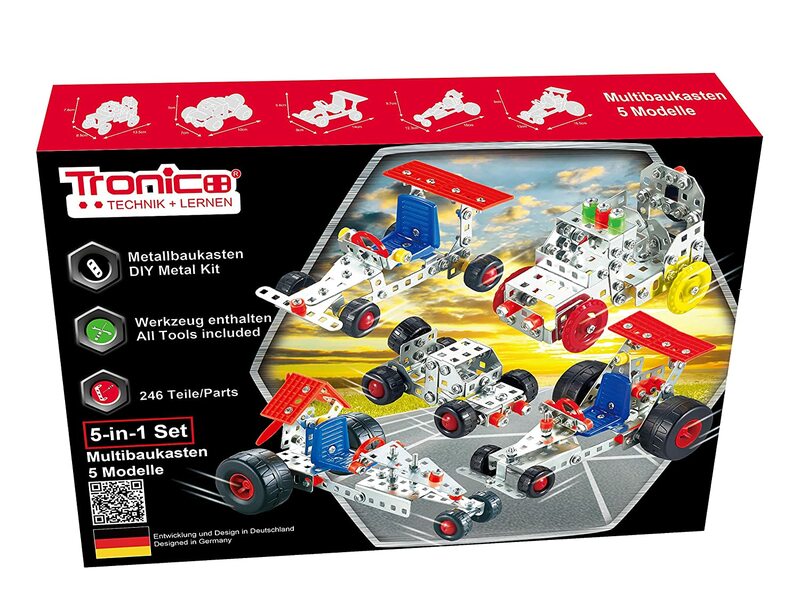 The Metal Construction Multi Sets from Tronico are the most popular diy metal kits of the program.